Do you remember going to prom in high school? Imagine having the best outfit, a stretch limo and doves flying out as you arrive (Stole that scene from 21 Jump Street if there are any movie buffs reading). Now imagine you showed up on the wrong Saturday. Your amazing outfit, stretch limo and doves have all gone to waste. Carl Lewis once stated “life is about timing.” Well we are here to tell you that social media is also about timing! Even the greatest post can go to waste if the timing is not right. 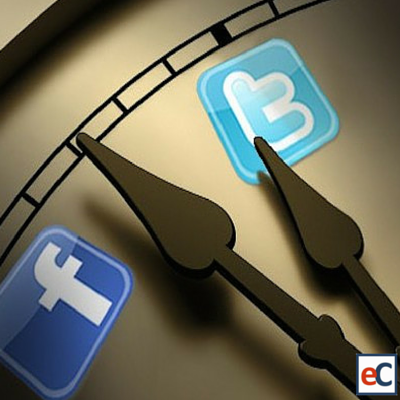 Facebook, Twitter and LinkedIn all have optimal posting times and days. These optimal times and days are based on total number of people logged on to the network and the levels of engagement. Understanding when to post and capitalizing on it is critical for social media success. Please note that social media is part science and part art, so experimentation is key, but posting during peak activity times should increase your chances of being seen. Bonus Tip #1: Try posting at the end or the beginning of each hour during the workweek. Most business related activities start and end on the hour. On the way to a meeting or heading back from one, employees are likely to check their social media sites and see your post high on their newsfeed. We have seen a lot of success with this posting strategy. Bonus Tip #2: Use social media analytics to get a better understanding of your followers. If a majority of your followers are in a certain time zone, try catering your posting times to their time zone. Bonus Tip #3: This may sound counterintuitive, but experiment with posting during the worst times and dates. Despite there being less traffic during these times, some businesses can take advantage of the low amount of competing traffic. Track your success with analytics to decide if any of these less popular times work for with your audience. There is no special formula to social media success. Posting during peak times does not guarantee a post will go viral. With this said, posting when your audience is online will increase your chances of being seen. What timing strategies has your brand seen success with? Let us know in the comment section.